Adopt your ducks today and come join us for a day of racing, all to benefit a good cause! 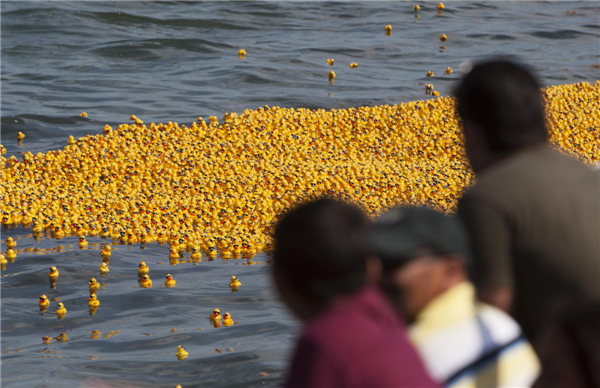 It’s that time of year again in Nashville when as many as 10,000 rubber ducks compete in the Nashville 2014 Kiwanis Incredible Duck Splash! The event takes place this weekend, on Saturday, August 30, 2014 at 3:30 pm in the Lazy River at Nashville Shores Waterpark. This is the second year for the event and YOU are cordially invited to get in on the fun by adopting ducks to compete in the event, and attending! Through Duck Adoptions, this community event funds the Nashville Kiwanis Club’s philanthropic grant program. By adopting a duck today you will help support local charities that improve the lives of children in Middle Tennessee! Your duck adoption(s) help fund important programs at: Book’em, CASA Nashville, Children’s Miracle Network at Monroe Carell Jr. Children’s Hospital, Ducks Unlimited, Fisk University, GraceWorks Ministries, Hiram Lodge Preservation Inc., Mental Health America, Nashville Symphony, Rally Foundation for Childhood Cancer Research, Salvation Army Nashville Area Command, Special Olympics Tennessee, Tennessee Voices for Children, Unlock the Champion, and the Kiwanis family clubs of Kentucky and Tennessee to support our Kiwanis Global Campaign for Children to eliminate maternal/neonatal tetanus. 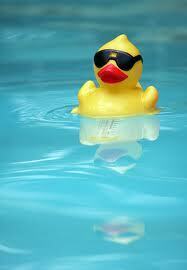 On event day, KIDS “Quacktivities” will kick off at 3:00 pm with the race commencing at 3:30. For those who are interested, Nashville Shores is offering discounted admission to the park in honor of Kiwanis Family Day (use promo code “kids” on the Nashville Shores homepage).These discounted tickets are $16.99 instead of the usual $34.99 per person, and $9.00 pre-paid parking passes can be purchased also. The Donor of the winning duck will receive $10,000, and additional prizes will be awarded. We invite you and your family to join us for an afternoon of fun in the sun, all to benefit many worthy causes in our region. Please visit http://goo.gl/yOqIzs to adopt your ducks now! Thank you for supporting the Kiwanis of Nashville Foundation’s mission with your donation. As an active member of Kiwanis, owner of Outdoor Lighting Perspectives of Nashville, Bob Lyons of team “Quack Kills”, wants to thank you for supporting this incredible event! This entry was posted in Nashville outdoor living, Outdoor Lighting, Outdoor Lighting Perspectives of Nashville Special Events and tagged Adopt a duck for the Nashville 2014 Kiwanis Incredible Duck Splash!, Annual rubber duck race in Nashville to support local charities, Community outreach in the Nashville region, Kiwanis of Nashville, Nashville 2014 Kiwanis Incredible Duck Splash Adopt Ducks Now, Nashville 2014 Kiwanis Incredible Duck Splash!, Nashville Shores Waterpark., Nashville special events, Outdoor Lighting Perspectives of Nashville, the Nashville Kiwanis Club’s philanthropic grant program by outdoorlightingnashville. Bookmark the permalink.